A baby forms 700 neural connections per second in the first years of life. "I think what’s most important for people to understand is that a newborn at birth has most of the brain cells that we will have for our entire life, but relatively little of the connections, the circuits among the different cells," explains Shonkoff. 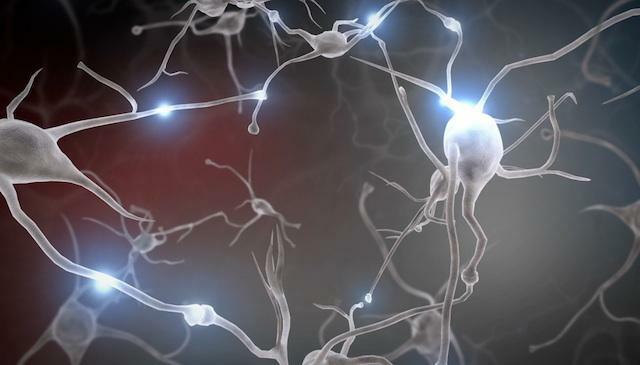 "What happens very, very rapidly is that the brain is building connections, it’s building synapses," says Shonkoff. How many connections? Glad you asked. A baby forms 700 new neural connections per second in the first years of life. "This process of building the architecture of the brain," says Shonkoff "is dramatically influence by life experiences. It is not genetically hardwired. Literally our environment shapes the architecture of our brain in the first year of life." Shonkoff says an infant's brain is dependent on responsiveness from adults. So all those adorable things that babies do right from the beginning -- coos, gurgles, sounds and smiles -- how an adult responds to those coos and gurgles help shape the brain circuitry. Shonkoff calls these moments "Serve and Return interactions." The baby does something, the adult responds back. Vice versa. "And it's the back and forth, the responsiveness, that shapes the brain circuits." Shonkoff says we "begin to see differences in the size of a child’s vocabulary as early as 18-24 months." These differences, he says, are not genetically hardwired. They're based "in the differences in the kind of language environment the child grows up in." Middle class children are exposed to many, many more words than working-class children, according to a famous study conducted in the 1990s. "Children who grow up in homes skewed to highly educated parents talk to their kids more, use more varied vocabulary," adds Shonkoff. "Compared to children...in homes where parents have had limited education, tend to speak to their children less, use smaller vocabularies, don’t provide elaborate descriptions." If early intervention doesn't happen, a child will struggle with language his or her whole life. Scientists realize, of course, that an infant doesn't know how much money his or her parents have in the bank. But infants can feel it all the same, says Shonkoff. "For young children, the challenge of poverty is not a function of the family’s income, it’s a function of how well the parents are able to modify and adjust their behavior to create a safe and enriching environment for the child." Parents whose stress is related to poverty "can interfere with their responsiveness to a young child," says Shonkoff, "and that's when a child feels the stresses of poverty." "The message is pretty clear now from the science that the only way to dramatically decrease the gaps in this achievement is to begin providing rich learning experiences much sooner than standard school aged entry for children who live in disadvantaged environments," says Shonkoff." He describes early intervention as the most promising strategy. "There’s no basis for anybody to say, 'nothing that happens early is going to make a difference, we should just wait until they get to school,'" says Shonkoff. "That is just completely disconnected from everything we know about development."